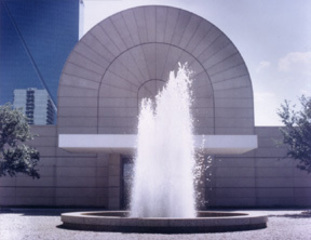 The Dallas Museum of Art recently celebrated one hundred years of connecting art and people. Established in 1903, the Museum features an outstanding collection of more than 23,000 works of art from around the world, from ancient to modern times. The Museum also has a long history of providing varied and dynamic programs, events, and exhibitions to engage our visitors more fully with the art. We invite you to view highlights of the Museum’s collections on this Web site as well as find information on current and upcoming exhibitions and programs. You are also free to shop the online Museum Store or join the Museum. If you are a member of the Museum, we thank you and invite you to visit the members’ section to learn more about exclusive member activities and benefits.